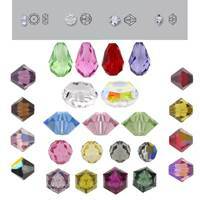 Bella Findings House carries a complete selection of Swarovski Crystals for use in all types of jewelry making. 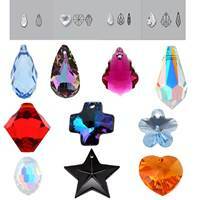 Swarovski crystals are not natural crystals; they are man-made gems manufactured in Austria. These are very-popular items especially for hobbyists. 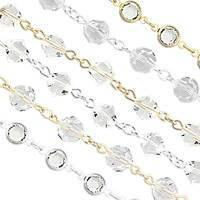 Our Swarovski crystals are often used in combination with precious and semi-precious stones and metals plated with gold or silver. 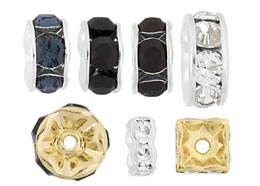 Bella Findings House offers Swarovski crystals for creating jewelry items for both men and women. 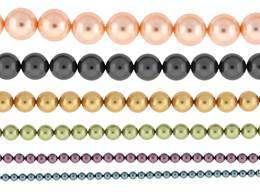 These typically include necklaces, bracelets, rings, pins, earrings, and watches. We also offer a wide choice of charms from which our customers can choose to make necklaces, bracelets, brooches, and charms. 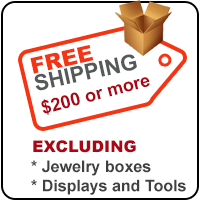 In the event you that you don’t see the Swarvoski crystal items that you need on our web site pages, feel free to contact us because we’re always ready to help!